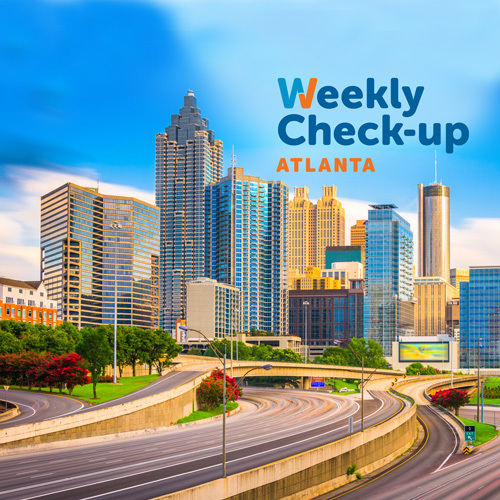 Dr. Frederick J. Schnell, Jr. is a board certified Radiation Oncologist who has recently joined DeKalb Medical Physicians Group Radiation Oncology Specialists. Dr. Schnell enjoys taking care of patients and making sure they receive the most advanced options in techniques and technology utilized in Radiation Oncology. He treats all subsites of cancer including breast, lung, brain, head and neck, gastrointestinal, and gynecologic tumors. Dr. Schnell has tremendous experience in prostate brachytherapy (Mammosite) having preformed more than 1000 I-125 prostate seed implants. 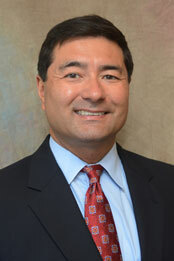 He also specializes in sterotactic radiosurgery for brain tumors, lung cancer, and spine and body metastasis. Dr. Schnell believes that utilizing the latest techniques and technology allows for the best delivery of cancer care. Dr. Schnell attended medical school at the Medical University of South Carolina followed by his internship at Greenville Memorial Hospital in Greenville, South Carolina. Dr. Schnell completed his residency in Radiation Oncology at the Montefiore Medical Center of the Albert Einstein College of Medicine in New York, NY, where he earned Chief Resident. Dr. Schnell is an active member of ASTRO (The American Society of Therapeutic Radiation and Oncology), ASCO (The American Society of Clinical Oncology), and the ABS (American Brachytherapy Society). He attends national meeting regularly and has submitted abstracts for presentation. His latest was a poster presentation at ASTRO. He is a co-author on numerous prostate publications in respected medical journals. Dr. Schnell’s extracurricular activities include boating, hiking, and biking. He and his wife have two wonderful young sons and they enjoy traveling and vacationing at the beach. Dr. Scott D. Steinberg is board certified by the American Board of Surgery and is a fellow of the American College of Surgeons. He received his medical degree from the Mount Sinai School of Medicine in New York in 1995. He has published numerous articles in peer-reviewed scientific journals and has lectured on various surgical topics at national meetings throughout the country. 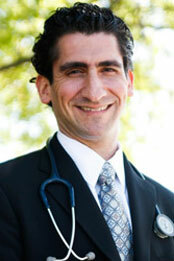 Dr. Steinberg is a fellowship-trained advanced laparoscopic surgeon. He is a member of the American College of Surgeons and the American Society for Metabolic and Bariatric Surgery. He completed a colorectal oncology research fellowship at Memorial Sloan-Kettering Cancer Center in New York. Dr. Steinberg performs all types of laparoscopic and open hernia surgeries. His practice emphasizes the minimally invasive approach to manage benign and malignant diseases of the breast, colon, gallbladder, stomach, spleen, thyroid, parathyroid and adrenal glands. Dr. Steinberg is the Medical Director of the Surgical Weight Loss Center at Dekalb Medical. This center has been designated as an ASMBS Center of Excellence in Bariatric Surgery. He has performed over 2,000 laparoscopic gastric bypass, sleeve gastrectomy, and lap band procedures for morbid obesity. He has also served as the Chief of the Department of Surgery at DeKalb Medical and is on the Board of Directors of the DeKalb Surgical Alliance.